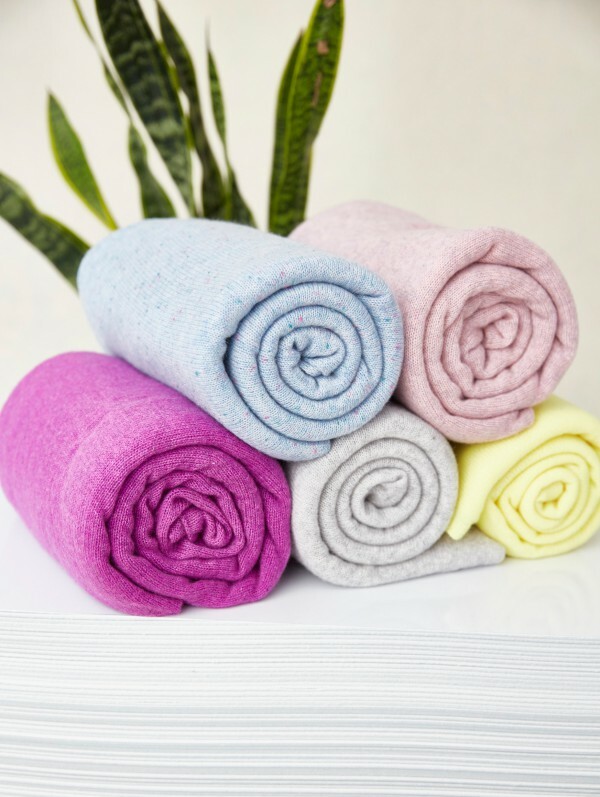 With spring unfolding in southwest Ohio in bursts here and there (thunderstorms one day, sunshine the next), we are greatly appreciative of the gentle warmth and glamour lightweight cashmere ponchos, wraps and sweaters can give us. Consider cashmere layering pieces your go-to items this spring — whether you’re heading into the chilly conference room at work or spending date night with your hubby. There is so much to love about cashmere: the way it feels so luxurious against your skin, the instant glamour it delivers, and its classic appeal. Therefore, be sure to show your cashmere some love when it’s time to store your sweaters during the summer. Don’t let moths and other pesky bugs, like silverfish and cockroaches, feast upon your cherished cashmere. 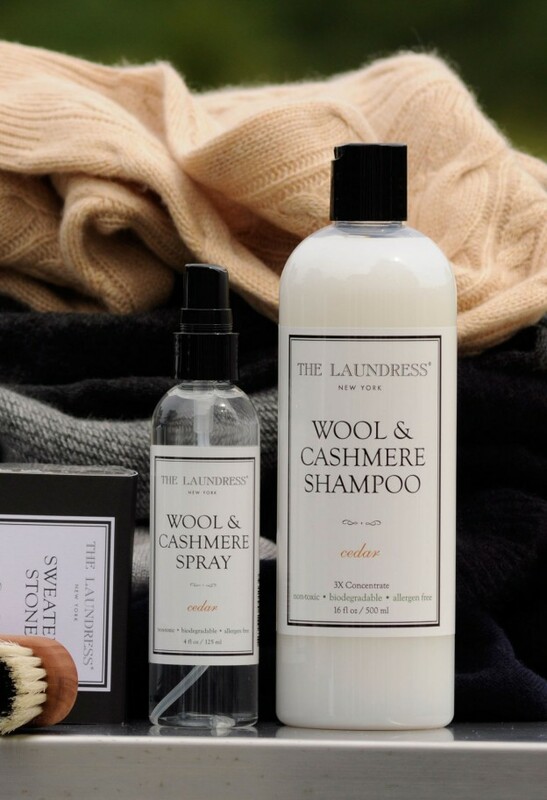 Our favorite products when it comes to cleaning and storing cashmere are found in The Laundress New York collection, which we carry in the shop. And we love the ever-versatile Cedar Scented Drawer Sheets from The Laundress for easy freshening throughout the home. Simply place a sheet in your drawers, closets, luggage, car and other spots to enjoy this scent. Store it right: Make your closet a key area for spring cleaning. Donate old clothing you no long wear to create more space. Then thoroughly vacuum your closet. Make sure clothing is clean prior to storage, of course, to keep those nasty bugs aways and prevent stains from setting in. Give expensive fabrics like cashmere room to breathe. Use cedar blocks or sheets or lavender sachets to keep garments fresh. Lastly, think twice about moving your cold-weather clothing out of the closet. Tucking clothes under the bed or in the basement, attic or garage isn’t recommended, as these are areas where bugs are more likely to be found.